Personal Rapid Transit: Future Or Elevated Fantasy? Transportation planners are banking on a futuristic network of ecofriendly computer-automated pod cars as the next smart form of mass transit. Several U.S. cities are doing feasibility studies for personal rapid transit systems, and Britain's Heathrow Airport plans to launch its system in the spring. Personal Rapid Transit: Future Or Elevated Fantasy? The promise of personal rapid transit systems, or PRTs, is enticing: elevated electric transit that delivers the convenience of an automobile without the pollution or congestion. The systems use what the Swedes call "pod cars" for the way they look: small and zippy, like Smart cars. 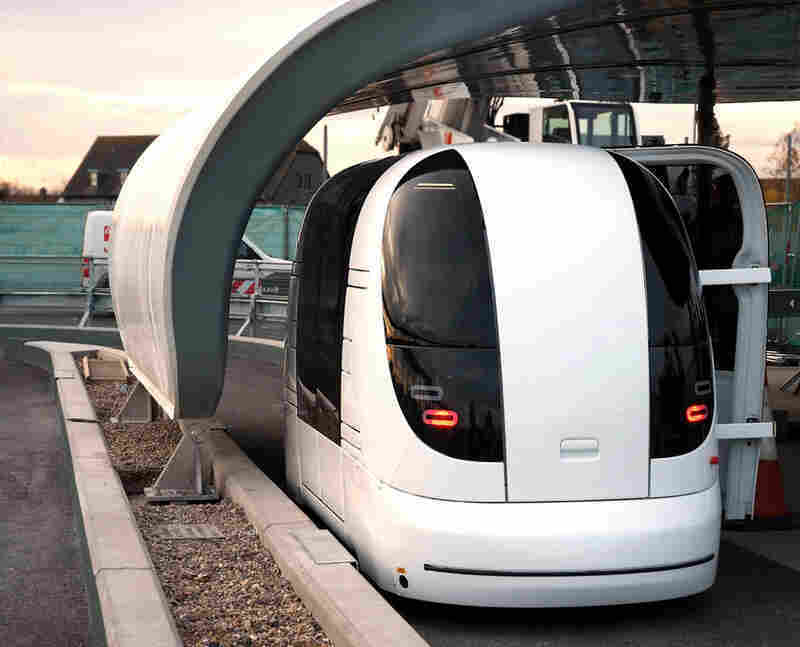 But unlike Smart cars, the pod cars are computer-automated compartments propelled along a specially engineered guideway or track. PRT is driverless, on-demand and ecofriendly — in other words, a mass transit nirvana. Could this futuristic concept be the next smart form of public transportation? Personal rapid transit systems, also known as PRTs, use pods that travel on specifically engineered tracks, providing the convenience of a car without the pollution and congestion. 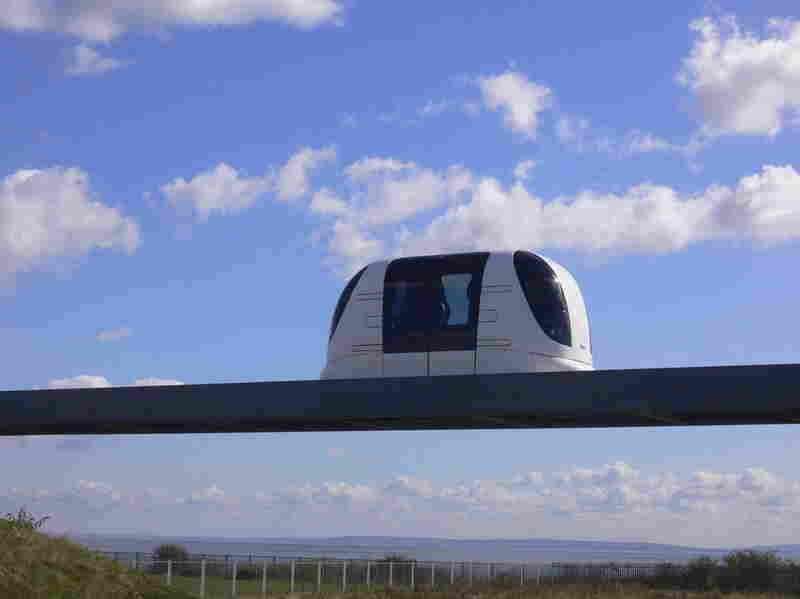 This pod car is being tested at ULTra's Test Facility in Cardiff, England. 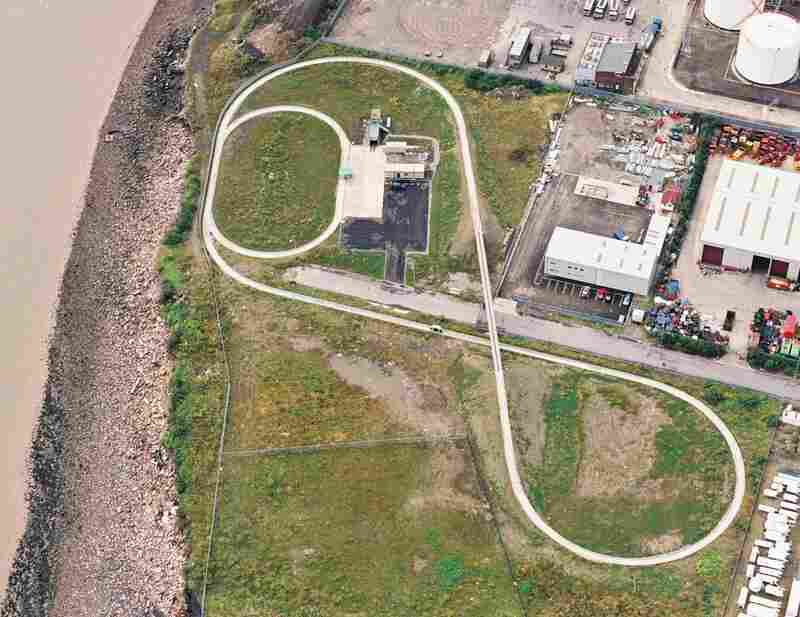 Courtesy of Advanced Transport Systems Ltd.
Aerial view of ULTra's Test Facility guideway in Cardiff. The ULTra car holds five passengers with luggage and runs on battery power. 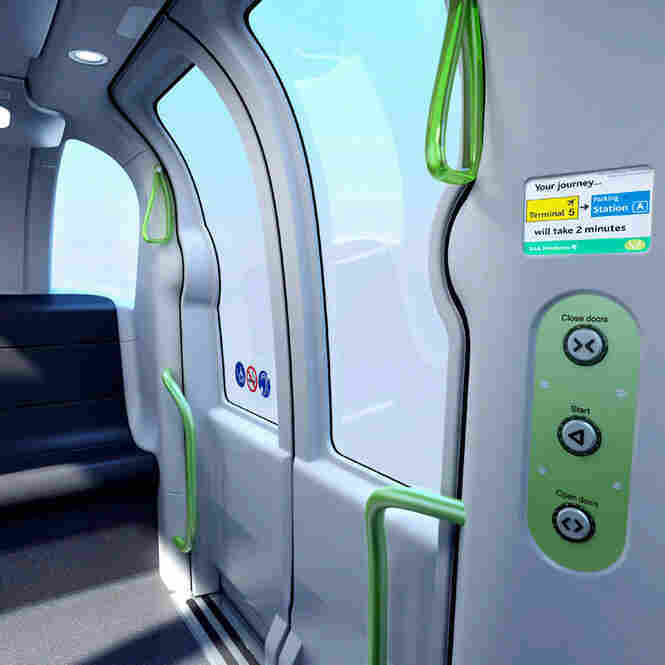 Riders can travel directly to a destination without extra stops by using the control panel, shown in this rendition of an ULTra pod car's interior. 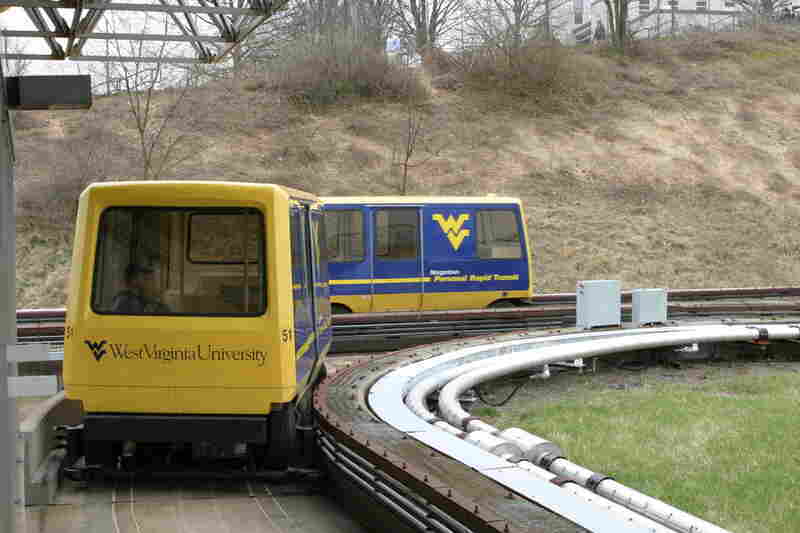 The West Virginia University campus in Morgantown features the first personal rapid transport system in North America. 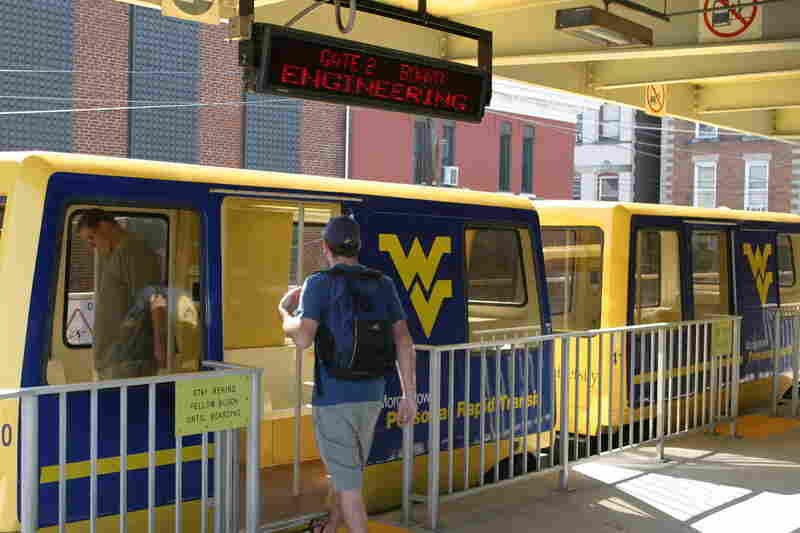 A student boards the West Virginia University pod car at one of the five platforms along the route. The system was constructed in 1975 and can transport about 4,000 people an hour. If it sounds a little Disney-esque, it kind of is. Way back in 1958, the folks at Walt Disney imagined a PRT to be the transportation solution for the future in a production called "Magic Highway, USA." But since then, little has been done to make this mass transit alternative a reality. American cities including Ithaca, N.Y., and San Jose, Calif., are doing PRT feasibility studies. The Minnesota Department of Transportation is also looking into a PRT system. It's not a question of feasibility or testing in Morgantown, W.Va., where the first PRT in the U.S. has been in motion at West Virginia University since 1975. Hugh Kierig, the director of transportation and parking at the university, is the man in charge of the bright blue and yellow pods, the size of minibuses, that zip students along specially designed roads. "We can transport, under optimum conditions, about 4,000 people an hour. It's quite a scene when you see all those vehicles out riding the guideway," he says. But Kierig says the system is retro and needs a serious 21st century upgrade. Britain's Heathrow Airport plans to launch the world's first commercial PRT in the spring. Testing of the system, which boasts a fuel efficiency of 200 miles per gallon, is currently under way. Steve Rainey is a sales representative for ULTra, the company that's building Heathrow's PRT. He can see a day when people will choose pod transit over driving alone. "It has gone for me from this journey of being a weirdo pushing exotic technology to more acceptance and more doors opened," he says. But would people really switch to a driverless pod? Jon Carnegie, executive director of the Voorhees Transportation Center at Rutgers University, thinks so. He says energy prices over the next decade will have an impact on the way people choose to travel. "The more people decide that they would like to use modes other than the car, we may actually see a greater level of innovation," he says. In the U.S., Carnegie nominates Atlantic City, N.J., as a great place to test a new pod car: There are lots of tourists who need to get around, and a gambling culture that may be willing roll the dice on something new.